promoting public art as a vehicle for celebrating Haverhill’s rich, diverse history and vibrant future. fostering environmental responsibility and championing sustainable solutions for our city. 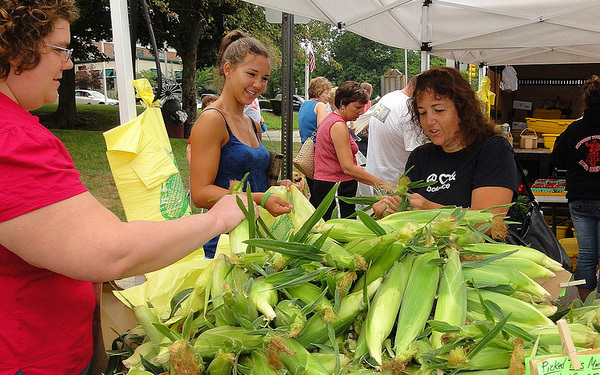 supporting local agriculture and increasing residents' access to healthy, local food choices. creating safe places for residents to play and connect with the outdoors. 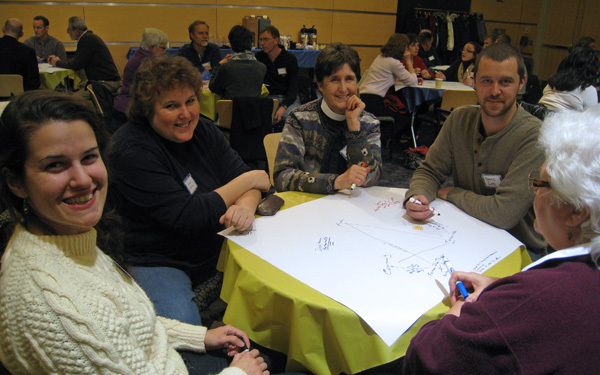 bringing our city's diverse voices together to identify and shape shared visions for improving our community. We pursue this purpose by fostering civic dialogue, organizing hands-on projects, creating a more informed public, and advocating for positive change. We welcome your involvement! Interested in learing more about Team Haverhill? Come to the next monthly meeting! All are welcome. For additional info, check out our meetings page. The Earth Day Portland Street Playground Clean Up has been postponed to April 27th from 9 a.m. to 12 p.m. Come join us! 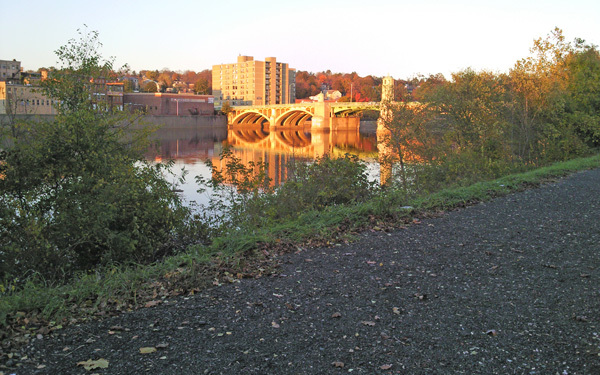 Participate in Hack Haverhill to compete for $10,000 in cash prizes! What is Team Haverhill? 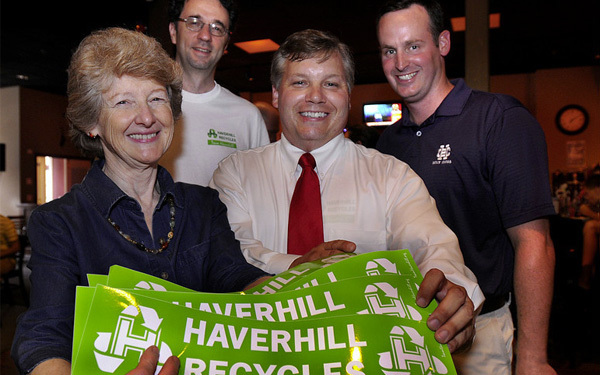 Alice Mann talks about our volunteer action group, efforts to generate civic engagement, and some of Team Haverhill's many city-wide projects, including Soles of Haverhill, Single-Stream Recycling and the Essex Street Gateway Mural.